You can right now score yourself quite the coup, if you are on the look out for a new pair of football boots at a attractive price. We have reduced the price of the Nike Mercurial Vapor IX Metallic Platinum/Electric Green by a whopping 30% and they can therefore be yours for just 161. 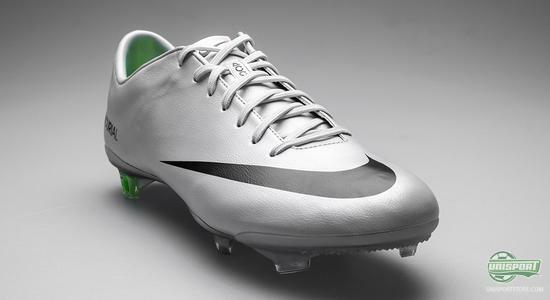 The Nike Mercurial Vapor IX is arguably the most talked about and most popular boot on sale, now we give you the chance to acquire yourself a pair at a price that is truly unmissable. 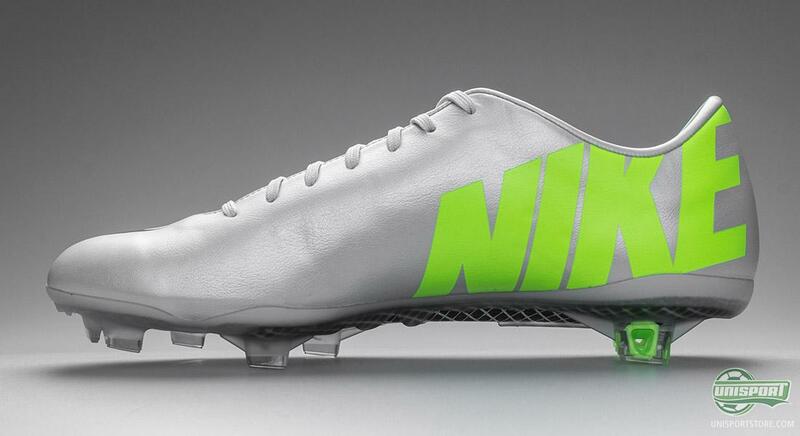 We have lowered the price by no less than 30% and you can therefore get your own pair of Vapor IX Metallic Platinum/Electric Green for just 161. The most noticeable difference between the Nike Mercurial Vapor IX Metallic Platinum/Electric Green and the other launch colours, is not the stark contrast in colourway, but rather that it does not have the new Speed Control technology, which is the special indented upper surface. 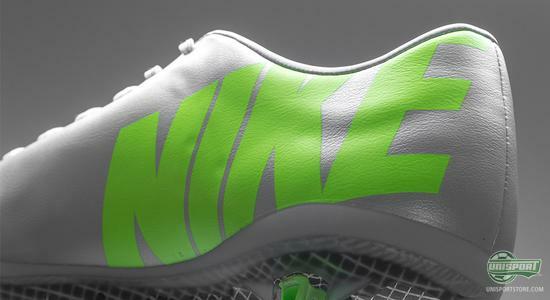 This upper surface is also the one thing that distinguishes the Nike Mercurial Vapor IX from the older Vapor VIII, but Nike decided not to change on the Metallic Platinum/Electric Green colourway, to give players the freedom of choice. 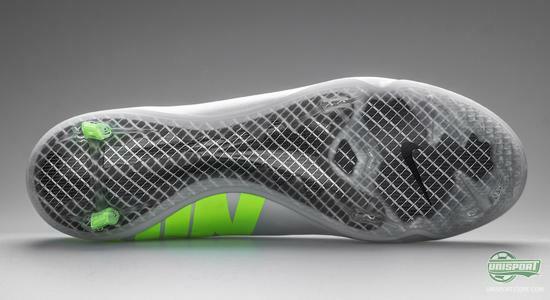 The outsole and stud-configuration is also identical to the one found on the Vapor VIII, where Nike have used a single layer underneath the front foot and covered the mid foot with a double layer. The stud-configuration's main feature is the fact that it only has two studs on the heel, which ensures, that you penetrate the ground quickly and kick off with the trademark explosive speed. These studs are complimented by the bladed and angled studs around the front foot, which give you an immense grip when accelerating. A pair of Nike Mercurial Vapor IX ACC Metallic Platinum/Electric Green with 30% off? Don't mind if I do. We love to ship good offers and we have a feeling you will like this one. 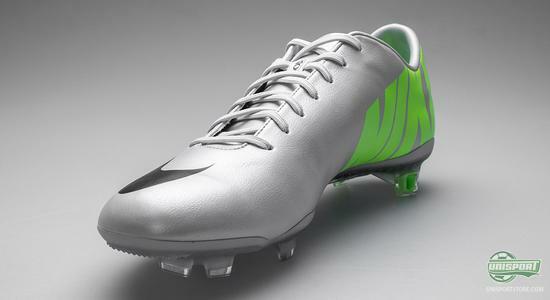 Will you be investing in a pair? Share your comment in the box down below.